United return from their summer break by entertaining West Ham to Old Trafford, a team which José Mourinho claims could be a surprise package in the league this year following their dealings in the transfer market. The Red Devils’ own dealings may well have fallen one short of their managers wish for four names to come through the door, however, the three who have arrived should help United push themselves up another notch from their previous campaign. A sixth-place finish some 24 points behind the Champions may well require more than one notch to be climbed, but the road starts at home and three points could set them off in the right direction. Slaven Bilic was a manager under pressure just a few short months ago following a disappointing season. He has since been suitably backed by his club to improve their fortunes with a respectable investment, but this is likely to come at the price of an expected return in West Ham’s upward mobility both in performances and league standing. A long list of injuries will make his immediate task more problematic, as will the fact that the Hammers haven’t won at Old Trafford in the last thirteen visits. A hot and humid game saw United narrowly lose out to Madrid, however, there was a bigger gap between these two sides than the scoreline suggests. A dominant display from Los Blancos will help Mourinho’s work in progress to refocus on where they aim to be, while a small helping of humility may also aid them on the eve of their new season. With many of the game’s better performers wearing white shirts, Nemanja Matic was the one player who really stood out for the Red Devils. His clever range of passing coupled with his tenacity provided a touch of class in the centre of the pitch for United. Mourinho will also have been heartened by the way his side continued to push into the late stages of the game despite the conditions making it difficult so deep into the match. West Ham concluded their pre-season schedule with a humbling defeat in Iceland, leaving them without a win in their preparations for the new season. Missing several of the first-team players, the Hammers began with intent, but fell behind after conceding possession cheaply in the 8th minute through a loose pass in midfield. While Gabriel Jesus’ early strike was the only goal before half-time, City were well on top in a one-sided game and Bilic will surely be alarmed at how easy City were able to carve through his team. At the other end of the pitch, Javier Hernández had little impact during his 45 minute cameo while both Marko Arnautovic and Andre Ayew picked up knocks after ineffective performances. Further goals in the second half from Sergio Agüero and Raheem Sterling compounded the Hammers’ misery, yet it could have been much worse if not for a fine performance from Joe Hart who was allowed to play against his parent club. Luke Shaw (foot), Marcos Rojo (knee) and Ashley Young (hamstring) will be United’s only absentees from the game, leaving Mourinho with many choices to make regarding his first starting XI of the season. The hardest choice will possibly be on the left wing where Martial has looked impressive in pre-season, however, competition from Marcus Rashford and Jesse Lingard could prevent him from starting. Cheikhou Kouyate (knee), Diafra Sakho (back), Manuel Lanzini (knee), Andy Carroll (hip) and Michail Antonio (hamstring) are all out, while Sofiane Feghouli is also expected to miss the game as he recovers from a knock. Both sides will feature a new main striker in their side for the opening game and both are more than capable of delivering goals and wins for their respective teams. It’s strange to consider now how many people baulked at the prospect of United paying £75m for the capture of a proven striker just five short weeks ago. While his price tag will remain a weighty talking point during future analysis on his worth, Lukaku has the Premier League experience and confidence to make his time at Old Trafford a success. United’s old favourite striker will be lining up against them this weekend following Chicharito’s £16m move from Bayer Leverkusen. The diminutive forward will always be held dear by the Red Devils fans and he will be making his 50th appearance playing inside Old Trafford when the game begins on Sunday afternoon. Having scored 28 goals from his 54 Bundesliga games, Hernandez still makes a good return for his team and could be part of a solution to the Hammers’ drastic form last year. Manchester United don’t have the strongest squad of players in the league, yet many people are tipping them as having a strong chance of claiming the League title in nine months time. A large reason for bridging this gap between quality and effectiveness lies at the feet of their manager, José Mourinho. Love him or hate him, there’s little denying that he’s a born winner with an insatiable appetite for silverware. While this can lead him to take a realistic rather than a passionate or philosophical approach like some of the other top managers in the Premier League, it often leaves him being misunderstood on occasions. There can be little doubt that he will pick up more trophy’s for United over time, however, how long his reign will last at Old Trafford will greatly depend upon if he’s able to challenge for the crown over the next year or two. With a lot of healthy competition facing him and little room to hide now that he’s invested and built a large portion of the team in front of him, this will be a challenge to put his managerial skills to the test. Marko Arnautović’s move from Stoke City this summer was for a fee reportedly in the region of £25m. Having long been toying with the idea of a change in scenery and with a desire to remain in the Premier League, West Ham are the club that have won the battle to gain his signature. There will be strong hopes in East London that the 28-year-old Austrian playmaker can fill the void in the team which Payet created after his sudden departure from London last Christmas. While both players are creative forces for their team and can engineer match-winning moments either directly or indirectly, Arnautovic needs to add a higher level of consistency to his game before he can truly be compared to the player he replaces. Surrounded by talented players with lofty ambitions and change of habitat could provide Arnautovic with a push and the challenge he needs to fire him to further glory. The year of the Pog? After a deceptively productive year for United following his record-breaking transfer, Pogba could be another player set too reach new heights during this coming season. The arrival of Matic into United’s midfield will free the Frenchman to play more of his natural game and in doing so, should see his star burn brighter. Expected to play higher up the field, Pogba will be given ample chance to beat last season’s tally of nine goals, although the woodwork did prevent him claiming more on numerous occasions throughout the year. With his manager repeatedly praising all aspects of his game, it can be seen how much faith those behind the scenes have in him. It will be up to him now to prove that he’s worthy of their confidence and in doing so he could be one of this season’s stand-out performers. Although West Ham will make a marked improvement on their displays during the summer friendlies, they look like a side who have a long way still to develop. Their lengthy injury list will also prove a sufficient handicap, especially with playmakers such as Lanzini and Antonio missing from the action. At home and with fresh aspirations which remain as yet untarnished, Manchester United should prove more than capable of beating a weakened Hammers team, but what more they manage to prove this year remains to be seen. Internazionale are planning to send £25m striker Gabriel ‘Gabigol’ Barbosa on loan this season, after he failed to hit the ground running in Serie A in his debut campaign. His high profile move from Santos last summer was seen as a statement of intent from the Nerazzurri. However, Gabigol has failed to replicate the success that his compatriot and namesake Gabriel Jesus has shown since arriving in Europe. Barbosa has been on the radar of some of the biggest clubs in world football for a number of years, and was once deemed a bigger prospect than Man City striker Jesus. With four senior appearances for the Brazilian national team and two goals to his name, Gabigol featured just nine times for Inter last season, notching one goal in 111 minutes. Jürgen Klopp has been linked with the striker in the past. However, a move to Liverpool seems unlikely, as the Reds appear intent on focussing their transfer efforts on other areas – namely defence. However, ​Bleacher Report claim that in addition to Liverpool’s supposed interest, Everton, Tottenham, Southampton, West Ham, Leicester, Stoke and Swansea are all keeping tabs on the young Brazilian, who claimed an Olympic gold medal in 2016. West Ham United have reportedly been told that they will have to pay £20m in order to open negotiations with Arsenal midfielder Jack Wilshere. Several days ago, it was claimed that Sampdoria had offered in the region of £6m to try to sign a player who has struggled with injury problems during his professional career at the Emirates Stadium. However, according to the Daily Star, Arsenal want at least triple that fee and have informed fellow London side West Ham that they must meet their asking price, which also involves adds-on, to have a chance of signing the England international. The 25-year-old enjoyed a productive campaign out on loan at Bournemouth last season, making 27 appearances in the Premier League, but he is currently still recovering from a fractured leg. He is expected to return to training in the near future, but it appears that the Gunners intend on trying on trying to gain as much money as possible for a player who is available for transfer this summer. Wilshere has only made three outings for Arsenal since the end of the 2014-15 campaign. Arsenal boss Arsene Wenger is reportedly considering an approach for West Ham United youngster Domingos Quina. The 17-year-old joined West Ham from Chelsea last summer, and the teenager made two Europa League appearances for the Hammers in the early stages of the 2016-17 season. Quina was not involved in West Ham’s Premier League squad last season, but it is understood that he is highly-rated at the London Stadium. According to Sky Sports News, Arsenal were also interested last summer, and the Gunners are preparing an offer for Quina after being impressed with the midfielder’s performances for Portugal Under-19s during the Under-19 European Championships this summer. Quina started his youth career with Benfica, before spending three years with Chelsea between 2013 and 2016. 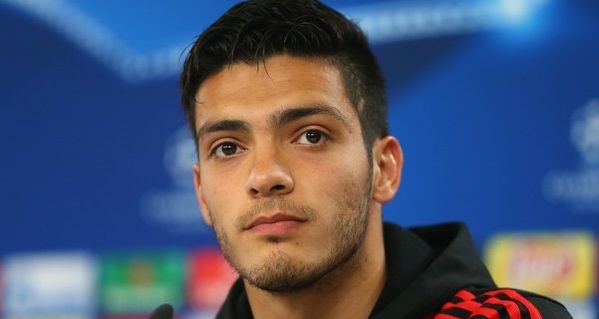 Benfica striker Raul Jimenez has admitted that he would be open to a move to the Premier League after being linked with Liverpool and West Ham in recent days, and has opted against ‘closing any doors’ as his future becomes the topic of increased speculation. Portuguese outlet A Bola claimed over the weekend that Jimenez is expecting to receive a substantial ‘financial offer’ from an unspecified English club this summer. Mexican international, who is Benfica’s most expensive ever player at €21.8m. “The Premier League is a great league, but you have to wait,” came Jimenez’s response to questions about a possible transfer when he was quizzed by ESPN shortly after Mexico’s third place playoff against Portugal in the Confederations Cup – a game in which he was sent off. “I don’t close any doors and we’ll see what happens. I’m still at Benfica. Now, I’m going to have a good vacation then go back to work with everything,” he added. Jimenez, who recently celebrated his 26th birthday, arrived in Europe from Mexican heavyweight Club America in 2014. He spent a single unsuccessful season with Atletico Madrid before joining Benfica, for whom he has scored 23 goals in two years after being limited by injury. It remains to be seen how serious Liverpool’s alleged interest is after already adding Mohamed Salah to a front line that already includes Sadio Mane, Roberto Firmino, Philippe Coutinho, Daniel Sturridge and Divock Origi, but West Ham have been desperate for a new striker for two years. The offer of €45m is likely to appease Benfica, according to the report, as the player featured mainly as a substitute behind more established first-team stars Kostas Mitroglou, Jonas and Pizzi. West Ham United have reportedly drawn up a £50m bid to sign Arsenal duo Olivier Giroud and Theo Walcott. The France international only made 14 starts in the Premier League and Champions League last season, although he still weighed in with 14 goals for the Gunners. Walcott, meanwhile, started 23 of Arsenal’s 38 league fixtures last term, but a switch to a 3-5-2 formation in the latter stages of the season saw him dropped to the bench. According to the Daily Star, the Hammers are eager to recruit Giroud and Walcott to strengthen their squad and improve on a below-par 2016-17 campaign. The report also claims that Gunners boss Arsene Wenger would not stand in the duo’s way should they opt for a move to the London Stadium. Giroud is also thought to be on Lyon’s radar, with the Ligue 1 club trying to recruit the former Montpellier HSC marksman as a replacement for Alexandre Lacazette. Arsenal and West Ham United have moved a step closer to signing Henry Onyekuru after he was granted a UK Visa. The two London clubs have been heavily linked with the KAS Eupen forward and are both allegedly prepared to meet his release clause of £6.8m. It seemingly leaves the 20-year-old Nigerian with a decision to make regarding his future, but it has been claimed that he is keen to move to the Premier League. A source told SCORENigieria: “Henry has been in Paris, he is there with his agents. Onyekuru – who netted 22 goals last season – has previously stated that he wants first-team football at his new club. West Ham are still keen to sign Manchester City’s outcast goalkeeper Joe Hart and will attempt to bring him to the London Stadium this summer despite interest from Manchester United. The Hammers made enquiries at the beginning of last season after Hart’s relationship with City broke down when new boss Pep Gaurdiola brought in Claudio Bravo and picked Willy Caballero as his backup which lead to Hart leaving on a season long loan to Italian club Torino. With that deal now expired and Hart having no place at the Etihad, he is now looking for a new club with the Telegraph reporting that another loan deal is on the table at West Ham. Hart is well aware of the threat that Jack Butland and Jordan Pickford are making to his England position and he will need to regain form in the Premier League to stamp his authority on the No.1 position. The size of the keeper’s wages would make a permanent move to West Ham nearly impossible but a loan deal could work well for both parties, depending on how much City would demand for such a move to take place. The preferred option for Hart would be a permanent move to get his career back on track with a secure future which could come in the unlikely form of Manchester United. Boss Jose Mourinho has been keeping an eye on Hart’s movements lining him up as a potential replacement for David De Gea who has rekindled his wish move to his dream club Real Madrid. If that deal goes through the Hammers will be facing tough competition from United although Guardiola would be extremely reluctant to let Hart transfer to one of their rivals especially their next door neighbours making it unlikely that any deal would be agreed between the two Manchester clubs. Manchester City goalkeeper Joe Hart has reportedly emerged as a potential target for Manchester United boss Jose Mourinho. After being allowed to spend a season on loan at Torino, Hart is surplus to requirements at the Etihad Stadium and that has resulted in the 30-year-old being linked with several clubs. Liverpool, West Ham United and AC Milan all allegedly hold an interest in the £20m-rated England international but according to The Telegraph, United may be prepared to enter the race for his signature. The future of David de Gea remains uncertain, with Real Madrid known to be keen on taking the Spaniard back to his homeland if a deal can be agreed with United. The stopper’s departure would leave Mourinho needing to find a replacement and it has been claimed that Hart could be targeted by the Portuguese. However, regardless of any interest from Mourinho, it is deemed unlikely that an agreement would be able to be reached by all three parties. West Ham United are reportedly attempting to sign Arsenal forward Olivier Giroud. The 30-year-old only started 11 Premier League matches for Arsenal during the 2016-17 campaign, but he still managed 12 goals in England’s top flight and 16 in all competitions for the season. Giroud only signed a new contract with the Gunners during the January transfer window, but it has recently been claimed that Arsenal boss Arsene Wenger will allow the France international to depart for the right price before the start of the 2017-18 campaign. According to Sky Sports News, West Ham are desperate to sign the France international in this summer’s transfer window and will offer the centre-forward guaranteed first-team football if he makes the move to the London Stadium. Ashley Fletcher and Jonathan Calleri have both struggled to make their mark with the Hammers, while Andy Carroll started just 15 Premier League matches last season after struggling with injury.